Pittsburgh When someone is elected president, they used to actually believe the words their speechwriters would scribble on the line that they were the president of all of the people in America. It is becoming clearer under the Trump Administration that even though he and the White House might parrot those words, they clearly no longer believe them at all. The problem probably starts with the fact that when you are elected by the states through the weirdness of the archaic pro-slavery roots of the Electoral College, rather than the majority of the actual voters, as was the case for Trump, then you may easily slide to the incorrect understanding that you mandate is in the states. Looking at the wrongheaded, feeble, and gutless concessions that the White House is offering to the Freedom Caucus, the 30-odd member secret cabal in the House of Representatives, it is hard to escape this theme that the President no long believes we are one united government with a national vision and program, but a patchwork quilt of states doing their own thing. What is really confusing to me though is why he would be willing to make his red state base a killing zone of his supporters. According to the so-called Freedom Caucus the White House is pitching a healthcare evisceration that would involve the following: States would have the option to jettison two major parts of the Affordable Care Act’s insurance regulations. 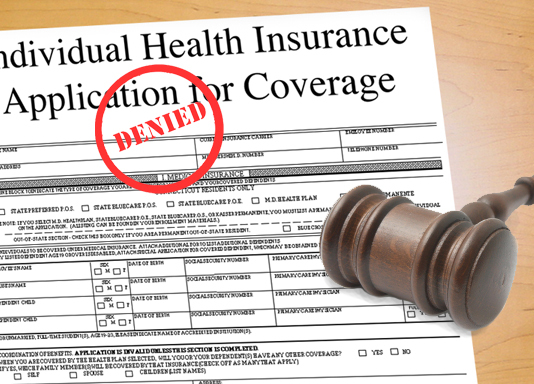 They could decide to opt out of provisions that require insurers to cover a standard, minimum package of benefits, known as the essential health benefits. And they could decide to do away with a rule that requires insurance companies to charge the same price to everyone who is the same age, a provision called community rating. Yes, you get it. The President’s offer to the cabal was that the full force and strength of the United States government would allow the far right and their allies and supporters in the states to eviscerate any semblance of health care coverage to allow insurance companies, soon to be their largest campaign contributors, to do whatever they want to whomever can’t pay the price. So, gone would be the bar against not insuring people with preexisting conditions, if they state said so be it. Gone would go the basic protections. Gone would be bars against pricing discrimination, and who knows what might be left. Once the White House says that they are going to greenlight any crazy waiver that comes their way, and leave that state’s people on bleeding and dying on the emergency room floor, then who knows what might go next. Were this gutting of healthcare to proceed, it’s not really just about red states and blue states, but mainly about rich and poor. Besides this healthcare proposal being a huge giveaway to the rich on tax breaks, it would also further divide rich and poor based on their ability to pay the insurance piper whatever price they set as they establish the divide between their profit and loss as the same as the divide between life and death based on your wallet size. This entry was posted in Citizen Wealth, Financial Justice, Health Care and tagged Freedom Caucus, health insurance, Trump Administration by Wade. Bookmark the permalink.